If you are looking for the finest craft beer in Detroit and the surrounding area, Granite City Food & Brewery serves a wide range of handcrafted, home-brewed signature beer to go with a full menu of homemade American cuisine. No matter where you are in the metropolitan area, one of our three locations is sure to be close. Whether downtown on the Detroit River, in Troy or Northville, you will find a Granite City Food & Brewery offering craft beer created on-site from a patented process called Fermentus Interruptus™. For great craft beer in Detroit, great food, and an overall great time, contact Granite City Food & Brewery at one of our three Michigan locations. Call 313-309-9120 in Detroit, 248-662-3400 in Northville, or 248-519-1040 in our Troy location. 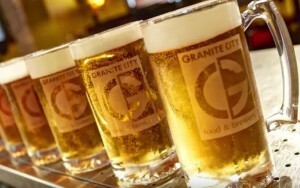 At Granite City Food & Brewery, we use a unique patented brewing process to create our signature brews on-site at all of our 36 locations in 14 states. Our beers are crafted in small batches, using the finest ingredients from all over the world. 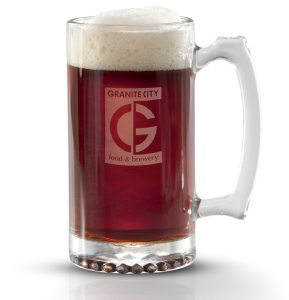 Granite City Food & Brewery has a variety of signature craft brews that we make in-house. Whether you prefer light or dark beer, or anything in between, we will have what you like. 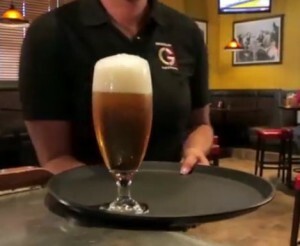 And throughout the year, Granite City also creates seasonal brews. If you are not sure what you like or what you want, or you just can’t decide, we offer a wide range of flights to sample various kinds and tastes of the craft beer in Detroit available at Granite City Food & Brewery. Try one of our samplers or create your own to suit your tastes.